Youre invited to the housewarming party! no need to bring anything, theres plenty of food cooking on the outdoor grill with flickering LED flames. Guests can choose from hot dogs, hamburgers, watermelon and more delicious foods! the children can swing on the tree swing or splash around in the Kiddie pool, and when it gets dark, watch as the functioning lanterns light up the yard. 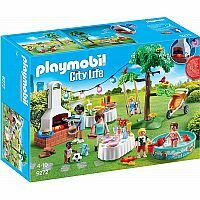 Combine this set with the modern house (9266 sold separately) for added fun. 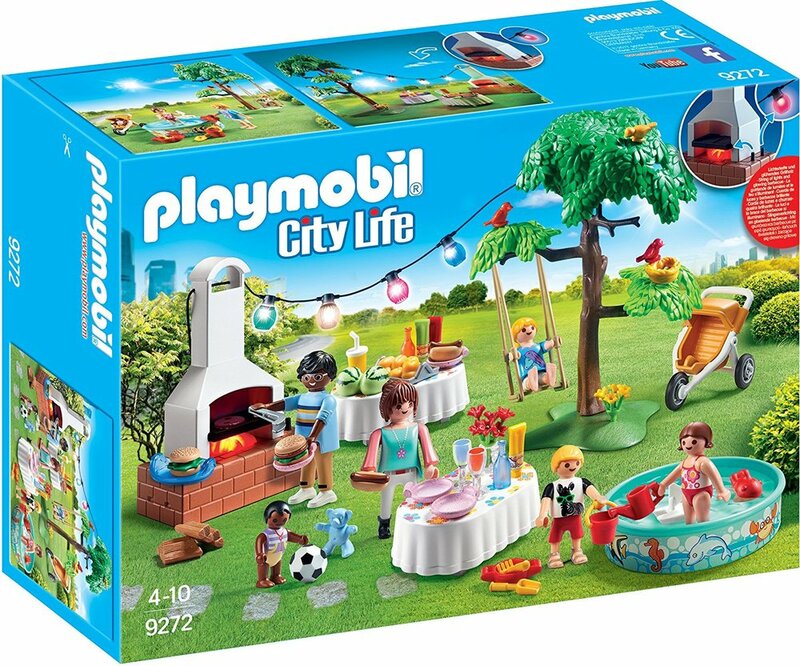 Set includes two adult figures, three child figures, one baby figure, stroller, Kiddie pool, tree with birds, soccer ball, teddy bear, working string lights, table, condiments, and lots of other accessories. Recommended for ages four years to ten.